Limestone Paving There are 9 products. Milestone Supplies offers a broad range of limestone paving slabs for domestic and commercial trade clients alike. The bold natural veining found in our limestone paving slabs will add a striking depth to your landscape, while the slightly riven surface will ensure it retains its rustic, earthy quality even in a contemporary setting (and creates a non-slip surface for your guests). Limestone may look the part, but you certainly won’t be compromising on durability when you choose this material – limestone paving slabs are notoriously strong and hard-wearing, and require little maintenance to keep them looking fresh. For a dramatic look that will add the finishing touch to any modern space, opt for our black limestone paving slabs. Our lighter blue shade is arguably better suited to lighter, airier garden designs, while our antiqued limestone paving patio slabs will create its own unique sense of intrigue in busier settings. Take a look at our ever-popular limestone plank paving, too, if you’re after a great value product that offers unrivalled versatility. All of our limestone paving products are available in a range of specifications, and their sawn sided edging ensures they are easy to cut and install. 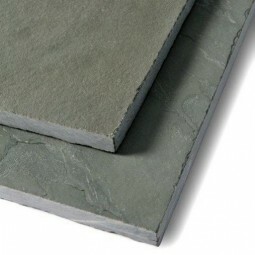 You’ll find plenty of information about our limestone paving slabs on our website, but if you’d like to discuss a product in greater detail, or simply want to talk to a customer service assistant about your upcoming paving project, please call Milestone Supplies in Essex now on 0844 826 3252. We offer a range of UK delivery options to suit your needs. 600x300mm single sized packs available in either 9.18m2 or 18m2 options, calibrated to 20mm deep. Its calibrated depth makes laying the product easier compared to random depth paving products. 600x600mm single sized packs available in either 9m2 or 18m2 options, calibrated to 20mm deep. Its calibrated depth makes laying the product easier compared to random depth paving products. 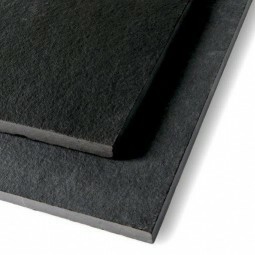 200x600mm single sized packs of black limestone paving slabs, which are available in either 9.24m2 or 18.48m2 options, have been calibrated to 20mm deep. 200x1200mm single sized packs available in either 9.36m2 or 18.48m2 options, calibrated to 20mm deep. 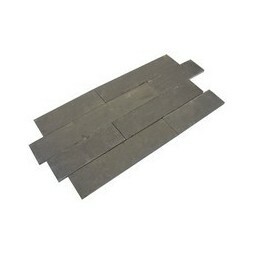 Our plank paving gives you an exciting alternative to our normal sized limestone paving slabs. 600x900mm single sized packs available in either 9.18m2 or 18.36m2 options, calibrated to 20mm deep. Its calibrated depth makes laying the product easier compared to random depth paving products.